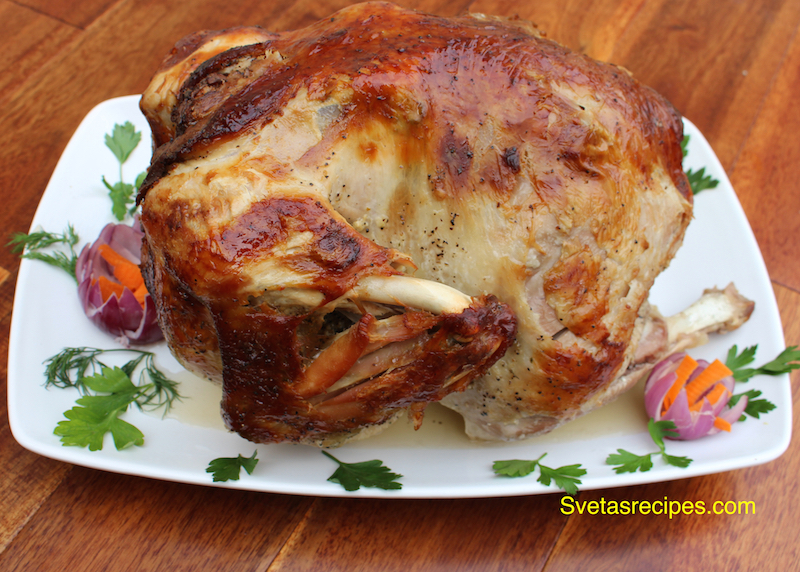 All holidays and festivals are traditionally celebrated with a Roasted Bird. Roasted bird is a family meal, or it can be combined with other flavors to make excitingly different dishes for more formal occasions. 1.) Remove giblets and neck from inside the turkey. 2.) Rinse bird with running cold water. 3.) Drain the turkey well. 4.) Sprinkle salt, seasoning and crushed garlic All over and in side. 5.) Put in a large bowl and cover with plastic wrap, Let it sit for 3 days at room temperature. 6.) Remove the plastic wrap, Mix mayonnaise and sour cream well. 7.) 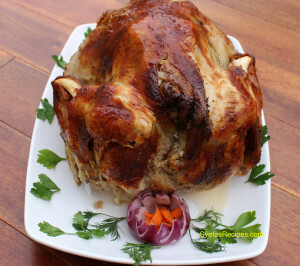 Brush the turkey skin lightly with mayonnaise and sour cream mixture. 8.) Place bird in a oven bag. 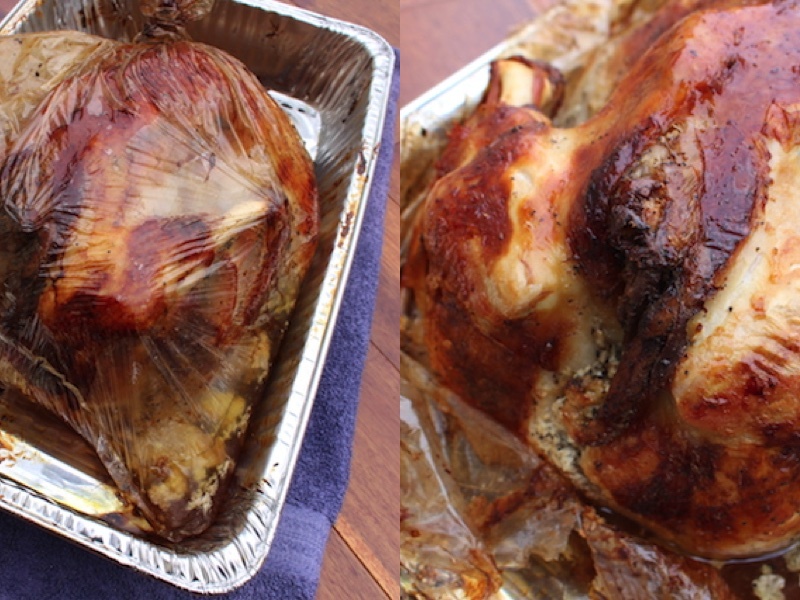 Put inside the oven and roast at 350F for 4 1/2 hours until the bird is turns golden. 9.) Toward end of roasting remove oven bag. Now its done. 10.) Put the turkey in a serving dish then decorate and enjoy! 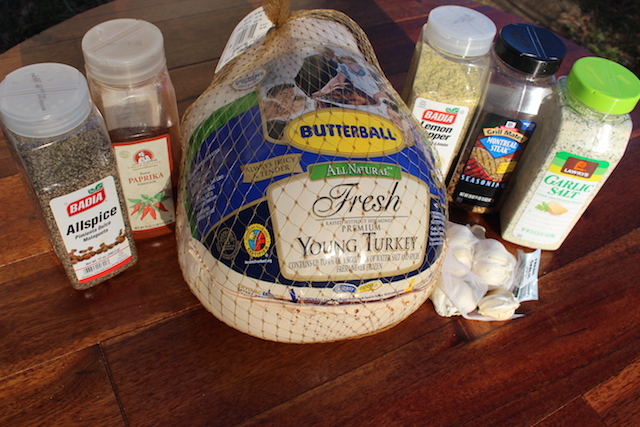 Remove giblets and neck from inside the turkey. Rinse bird with running cold water. Sprinkle salt, seasoning and crushed garlic All over and in side. Put in a large bowl and cover with plastic wrap, Let it sit for 3 days at room temperature. Remove the plastic wrap, Mix mayonnaise and sour cream well. 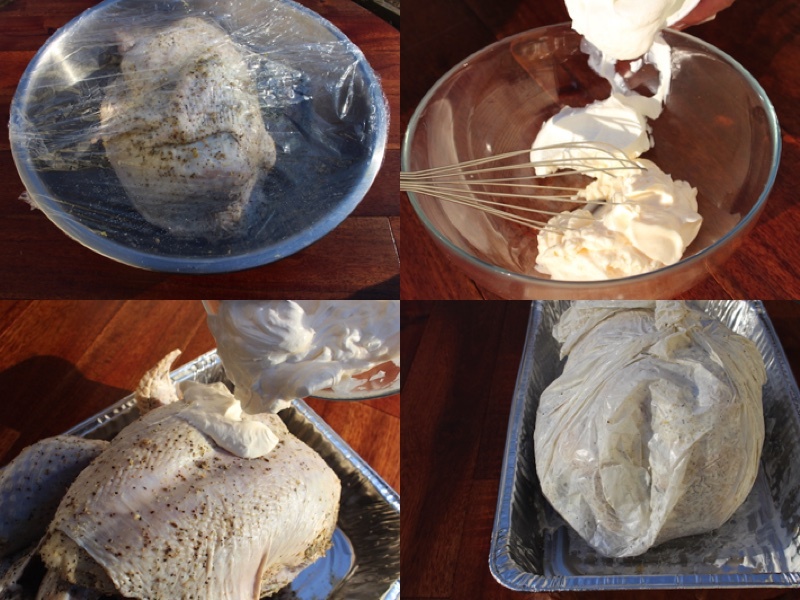 Brush the turkey skin lightly with mayonnaise and sour cream mixture. Place bird in a oven bag. 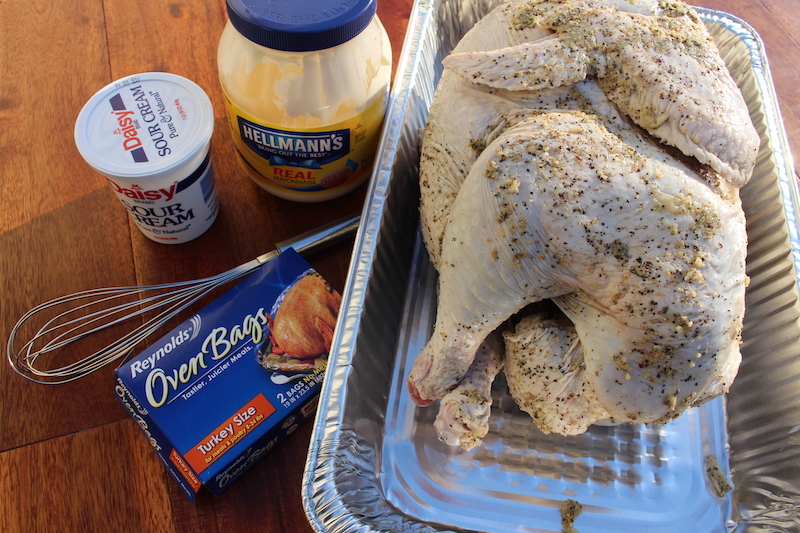 Put inside the oven and roast at 350F for 4½ hours until the bird is turns golden. Toward end of roasting remove oven bag. Now its done. Put the turkey in a serving dish then decorate and enjoy!